I was first given this product at a Ritz-Carlton Aruba. My face was terribly sunburned and she suggested I put this on mixed with another one of the lotions. It was unbelievable how it moisturized and healed my skin overnight! It will forever be part of my daily routine! Better than over the counter after sun. Skin left smooth and hydrated. I paid for gift wrapping but the goods arrived unwrapped. When I phoned to complain I was told the cost of the gift wrapping would be refunded......as I stated to the CS person, the cynic in me says that ESPA could easily do this to customers on a regular basis in the hope that customers don't call back to generate additional revenue, especially if there is no real loss to their business if all they do is refund for a service they didn't provide in the first place. As long standing customers of ESPA (my wife and I) I would have expected something more to compensate for the poor customer experience. Also, it was very disappointing to see that 1 week later there was a promotion running for one of the products I purchased. 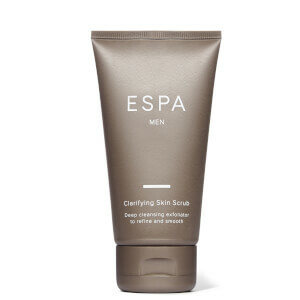 Although I appreciate the promotion may not have been in place when I ordered, given the poor experience on the gift wrapping, I feel ESPA could have applied the promotion to our account with limited/no real impact to them. The cooling body moisturiser apparently replaced the essential body moisturiser, which again was one of my favourite products. The cooling body moisturiser however is very nice.